Well, this week totally slipped by me! I meant to get a post up midweek but, yeah, that didn’t happen. Hopefully next week I will be able to round up some recent meals and things like that. Honestly, I nothing really to report here as a favorite workout from the week. Not only have none of my workouts stood out to me this week, but I also haven’t run much at all. My morning person mood has been missing for quite a while and that definitely affects my perky nature interest in my workouts, most especially during the week. I’ve been letting myself go with the flow rather than forcing my normal workouts upon myself, under the assumption that the earlier sunrises and warmer temperatures that are quickly approaching will help me get back to my usual self. Tomorrow will be warm here in New York and since it’s Saturday, I can run later so I do expect (and look forward to) a nice run later in the morning. I do love that Vegan Cobb Salad from The Cheesecake Factory! 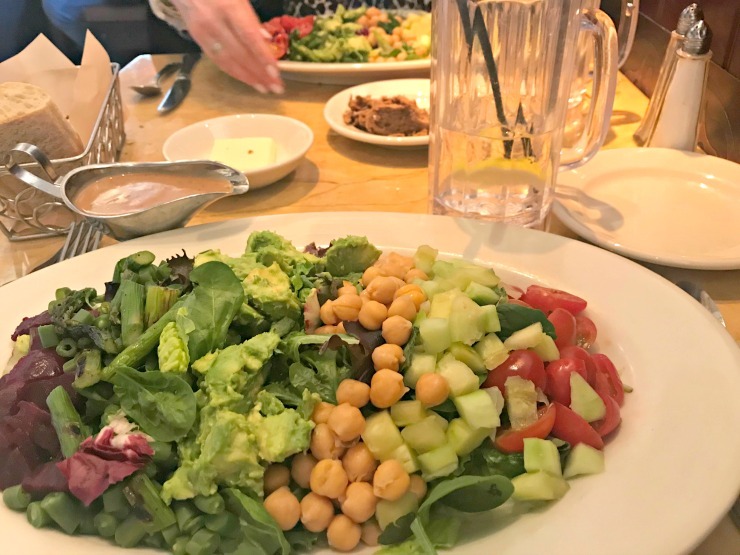 It does seem odd sometimes and as if I am neglecting an old friend when I don’t order my life-long favorite bbq ranch salad (without chicken) when I go to The Cheesecake Factory lately but hey, the Vegan Cobb is really good and change is okay too! I am a creature of habit but change is allowed when the new option is super delicious. 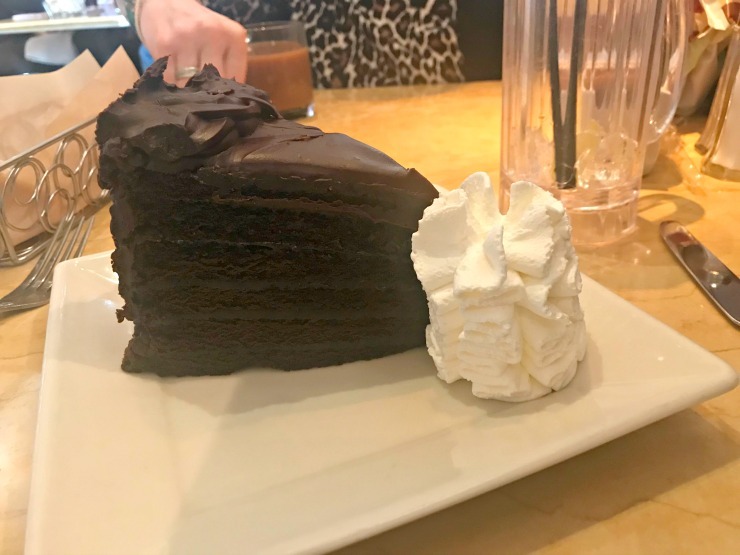 My mom and I shared this slice of Linda’s Fudge Cake. I think I could use another slice of cake right about now. A few links for us today, mostly from Generation Love. I am watching them all right now for a really good sale price. I adore Generation Love and never regret the tops that I grab because I end up wearing them often. This Generation Love Phoebe Embellished Tie-Front Linen Top is definitely on my watch list. And this Generation Love Ava Crystal Embellished Top is totally like the tops I wore as a kid in the ’80s! I like this Generation Love Any Tie-Dye Top, it’s a little dressier. Also, this Chaser Ruffled Tie-Dye Tank fluctuates as on sale and then back to regular price – either way, I think it’s worth it. Chaser fits well and washes well too. Plus, remember tie-dye is majorly trending again. And before I go for today, do you want a pair of glittery star sneakers that are cheaper than Golden Goose? Here you go. Cute shoes and that salad is making me hungry for lunch! 3 things: A concert with girlfriends, a track meet for my boys, and Sunday dinner with the fam. I am definitely a morning person and I always have been. I have vivid memories of going on vacation with my family when I was younger and my dad and I would get up and go and have breakfast together before anyone else would be up. Salad and chocolate cake. Now there’s a good picture post. I’m ready for my morning mood to come back too. I’m so over winter.